Come out ahead with the SnowSentry™. Detect and mitigate rooftop risks early and prevent loss. The SnowSentry™ monitors snow load conditions 24/7 and delivers dashboards to all stake holders including building owners, facility managers, key staff and service contractors. Information is wirelessly transmitted to the intuitive web app which sends alert messages directly to their e-mail and mobile devices. 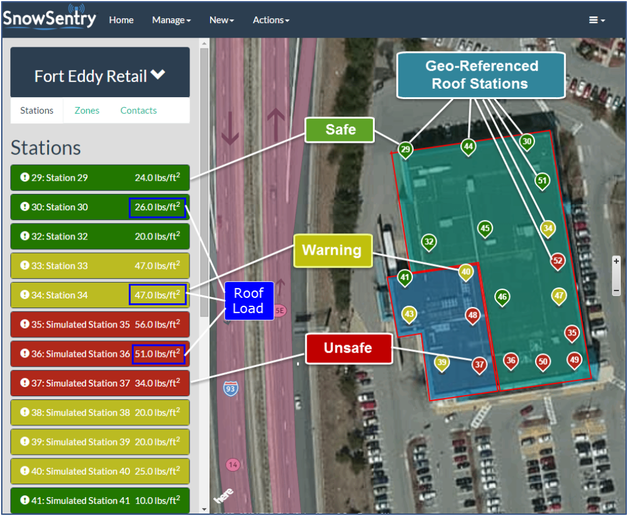 SnowSentry™ is a best practice method for early rooftop risk detection and loss mitigation​. 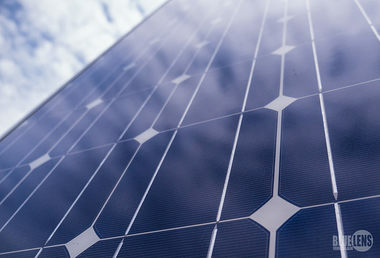 The system utilizes force sensing technology, zone-based load warnings, wireless solar powered communications and advanced mapping software to determine snow loads on building rooftops and communicate the information to protect people and property, prevent unnecessary business interruptions and reduce annual snow removal expenses. To learn more about the SnowSentry™, see its uses and applications or purchase a SnowSentry™ System for your business or organization, please contact us. 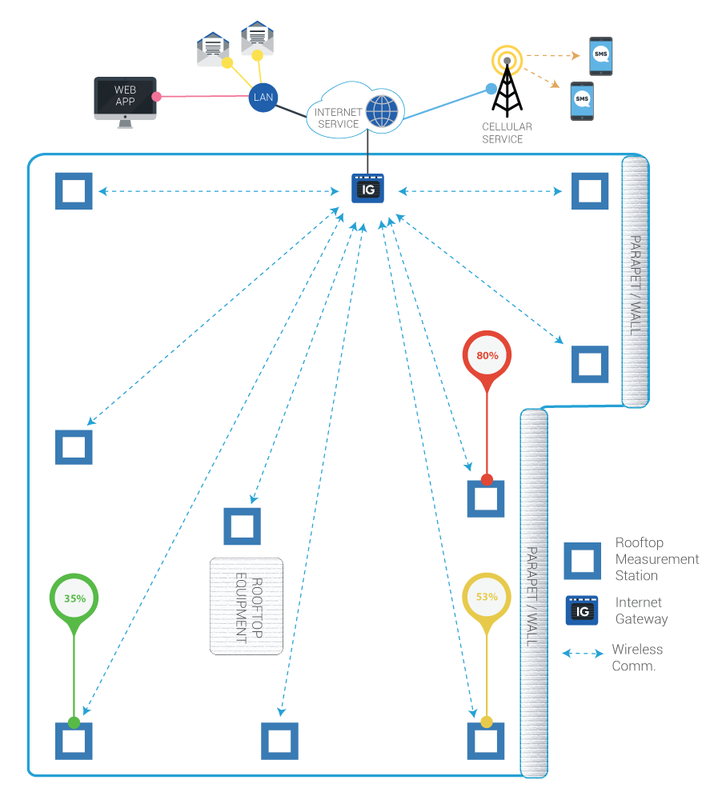 Use your own staff or roof service group to install and monitor the SnowSentry™ network - it’s easy. 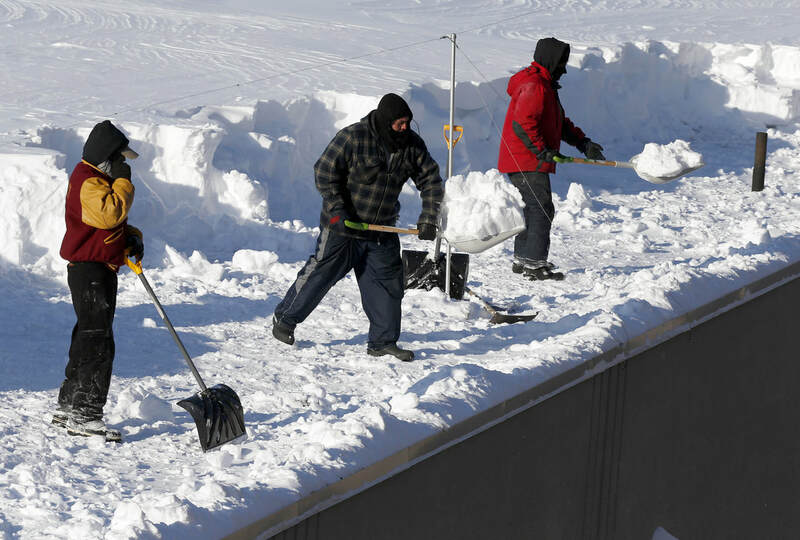 ​Schedule targeted snow removal from your rooftops when it becomes truly necessary, rather than as an estimated precaution. Long-life, rechargeable units power the SnowSentryTM at night and over 70 cloudy days in a row. ​No extra cables to manage and secure data transfer using point to multi-point networking. 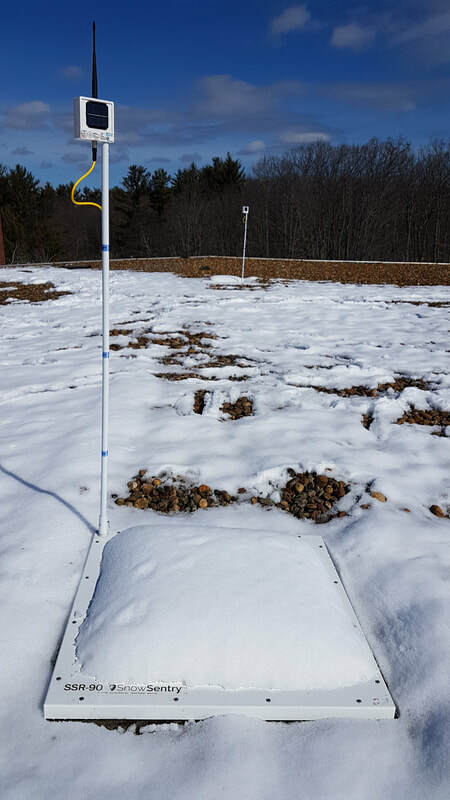 Wireless measurement stations are placed across the open roof areas and especially where snow tends to build up near parapets, walls, roof steps and equipment causing overload conditions. 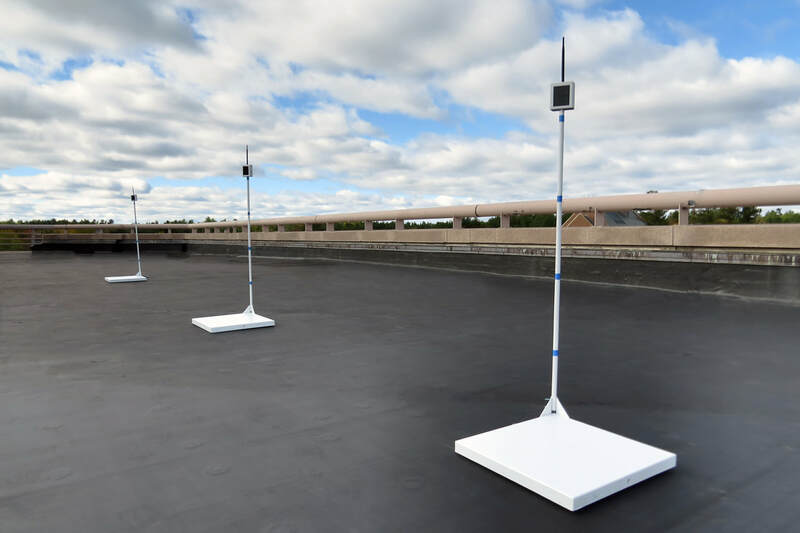 Using built-in GPS technology stations geo-locate themselves in user-defined virtual zones configured with a specific alert threshold based upon a roof's structural capacity; creating an accurate and dependable monitor. Users are notified by their mobile device or the web app when conditions reach warning and unsafe levels. ​Using the SnowSentry™ Web App the administrator or manager identifies the building(s) to be monitored and adds users to be notified when changing rooftop conditions trigger an alert. 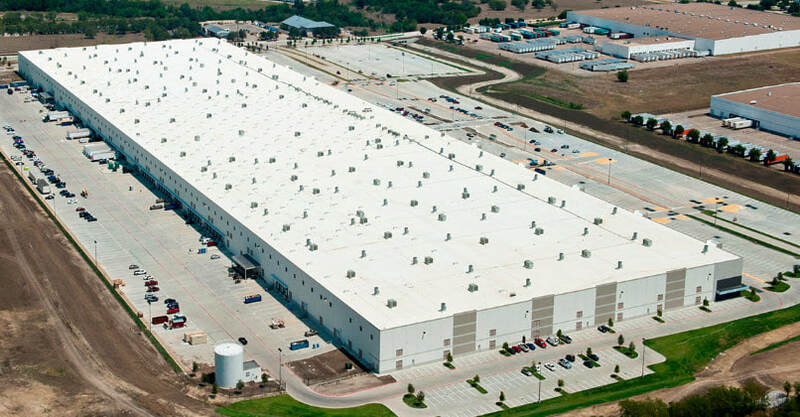 Since buildings may be comprised of one or more additions built to different load standards zones are identified by using the web app’s Polygon Tool and assigned a Safe Limit load value based upon the capacity of the roof structure.